Spring is traditionally the peak time of year for home shopping and buying. It is when home inventory is at its highest making the market more attractive to buyers. It is also a very competitive time for the housing marking. Meaning that with more inventory and more buyers, houses tend to sell more quickly. 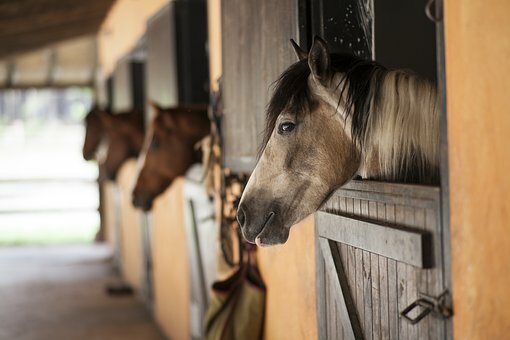 Those that enter the market looking for their dream horse property and home can do a few things to help them be prepared and to be able to strike when the iron’s hot, or when they find what they want. You may have a vision in your head as to what your dream horse property looks like, but now is a great time to put that picture on paper. Sitting down with a pen and paper and brainstorming all the things your dream home will have is a great way to start. Simply dream out loud and jot down ideas. Have whoever is helping to make the final decision on a property do the same task. After that is accomplished, look back on that list and begin to organize your thoughts. Separate items out under categories such as, “must have, non-negotiable, can live without, or not necessary.” This can help you determine what is most important. When all parties involved have done this, now all can sit down together to discuss their individual lists. Talking through important must-have items, prioritizing and compromising along the way, can help draw a picture of what you truly want. Being aware is half the battle. Your real estate agent will also appreciate any tidbits to facilitate the search for your dream horse property. To be competitive in the spring housing market, getting pre-qualified goes a long way. When you get pre-qualified, a bank or mortgage lender is essentially vouching for you by saying you will receive a loan from them for a certain amount of money. When you find a home you wish to make an offer on, being pre-qualified makes your offer more attractive. Other offers, even ones for more money, can be less attractive than offers that are pre-qualified. Sellers look upon these offer as a sure thing, knowing the loan will go through. The hassle of dealing with an offer that falls through is tremendous and highly disappointing. Throw out your Wish List – Wait, What? Now that you spend that time talking through your wish list toss it in the trash. Well, not literally! Simply remember that most likely no home is going to match perfectly to what you want. Keep that list in mind but be open to many possibilities. Be flexible. Compromise is sure to be a part of the process. When looking for a horse property in Kansas City, the folks at My Kansas City Horse Property are there to listen to your wants and needs and to find you the property that works for you. Spring is officially here, so it’s the perfect time to start looking. Search My Kansas City Horse Property’s inventory online, call (913) 266-6616 to discuss your home search or contact them online. Your dream horse property awaits.